Zero Motorcycles looks for optimistic realists who are passionate about their work, can put the team first, have an ownership mindset, and are on the throttle! The Accounts Payable Specialist is responsible for day-to-day activities for accounts payable and other accounting functions as needed. This position is full time M-F and will be working in our Scotts Valley, California corporate headquarters and will report to the Accounting Manager. Reviews, codes, and enters vendor invoices in ERP system and ensures that payments are made timely and accurately. Assist with check run preparation, including filing. Preparation and posting of outgoing wires. Review and process employee expense reports according to the approved Travel Policy. Reconciles monthly credit card statement by collecting supporting documentation and entering transaction in the system. Prepare and enter month-end accruals via Journal entry. Assist in preparing Year-end forms , including 1099’s. Organize and maintain retention files. Assist with Daily mail distribution. Order and stock office supplies as needed. Other general accounting and office tasks as assigned. 2 plus years’ experience with responsibility for A/P transactions in fast-paced and high-volume environment. Prior experience with an ERP system a plus. Knowledge of accounting principles, practices and standards. Ability to organize and prioritize workload in a changing, dynamic environment. Willingness to take on new challenges and projects. Desire to improve and streamline processes to increase efficiency and accuracy. Candidate must be able to sit/stand for long periods of time to perform duties, and to move around and make inquiries from other staff, management as needed. The employee must be able to use hands and fingers to feel, handle, or operate objects, tools, or controls and reach with hands and arms. Must be able to bend or stoop down to access files, including lifting of items or objects up to 10 lbs. To apply send in your resume and qualifications to: hr@zeromotorcycles.com. Please no phone calls or drop-ins. This position will help with data entry (i.e. processing order) as well as creating automation to make Sales Operations workflow more effective. Additionally, the candidate will be responsible for analyzing live data and building new reporting using Salesforce and third party provider. This position is an internship for a period of three months. The Customer Service Manager will support partners (including dealers and distributors in North, Central and South America) by leading the efforts of our customer service team throughout these regions. Your team, which includes customer service receptionist, customer service – electrical engineers, customer service – mechanical engineers and other customer service representatives, is the primary interface between our partners and owners and the company. You will act as the primary escalation point for helping team members resolve roadblocks, and you must be comfortable assisting with day-to-day activities as well as resolving more difficult situations. In addition, the team will attempt to foster owner loyalty by improving owner satisfaction by working proactively with our partners to resolve owner complaints and technical issues with their motorcycles. On a weekly basis, you will analyze incoming service issues to identify trends and lead improvements in customer service processes. Your analysis will also be used to create a weekly list of top electrical, mechanical and operational issues to be reviewed with the quality and engineering teams. You will work with our Dealer Tools and Training team and recommend improvements in tools, training or documentation that Zero Motorcycles should provide. The Director of Digital Marketing will be responsible for developing the online storytelling strategy, re-imaging the website and digital experience and programming content across all Zero Motorcycles social media outlets for the global brand. This position is full time M-F and will be working in our Scotts Valley, California corporate headquarters and will report to the CEO. Lead and inspire a cross functional team of web development, design, analytics, operations, project management and internet marketing professionals. Create and execute a digital marketing strategy for distribution of brand content across all digital channels. Drive end results designed to support Business, Marketing, Social goals and objectives. Drive the balance between brand story telling initiatives and commerce goals. Work directly with agencies and service providers on a day-to-day basis to provide execution guidance. Manage outside developers, vendors and partners as needed. Develop and become the voice of the brand across all digital channels, including social (Facebook, Twitter, Instagram, YouTube) and other relevant channels. Strategize and manage Digital Marketing plans, campaigns and initiatives with the Marketing team to ensure optimization of all programs with a focus on driving engagement and conversion. Drive search, email marketing, social and online advertising campaigns and website initiatives with internal and external partners. Create processes, reports and work with internal and agency teams to improve both website and social engagement metrics and reporting. Liaison to internal and external agency experts to analyze digital metrics and trends to improve and/or add functionality, drive repeat visits, longer time spent on site/page and increase conversion in an effort to improve program performance. Find creative and innovative marketing exposure and/or non-traditional revenue and brand opportunities. Pursue partnerships with new/untapped digital platforms, working with the rest of the marketing team to develop innovative and effective marketing programs, promotions, campaigns and online tools that will increase exposure and engagement. Endorse emerging digital and new technologies, identifying strategic partners when needed advocating innovation, setting trends, and progressive thinking, connecting digital, social, mobile and evolving media. Preserve excellence in Digital Media and future technology market understanding and be an ambassador for digital within the organization. Ensure high quality UI and UX consistent with web design best practices and state of the art web technology. Help drive the web platform, OMS and ERP and CMS plans for the short, mid and long term in coordination with IT. Develop detailed communication plans for social environments including but not limited to editorial calendars, content release strategy across web site, YouTube, Facebook, Twitter and other top priority environments identified as part of the plan. Successfully execute Social and Digital programs through collaborative agency partnerships, tracking competitive research and testing new and developing channels and technologies. Ensure data, learnings and ROI analysis from marketing campaigns are reported back to the business. Manage budgets, develop cohesive conclusions and present key findings at the executive level. Report regularly on digital KPI’s to ensure clarity in performance at the executive level on our digital initiatives. Set and drive the team to achieve weekly, monthly, quarterly and annual goals in conjunction with the CEO. Set appropriate ROAS levels for all digital marketing efforts. Manage all pre-click marketing efforts including retargeting and affiliate to drive traffic and commerce to the site and adjust marketing mix in real time to achieve brand and business goals. Manages relationships with various business units, departments, consultants and external partners/agencies. Communicate ROI metrics of all digital marketing efforts prior to execution and analyze effectiveness post-execution. Bachelor’s degree in a relevant field, with strong writing background. 5+ years’ experience life style brand marketing. 2+ years’ experience overseeing social marketing strategy. Experience in developing and executing integrated digital marketing plans. Foundation based on the core aspects of Marketing, including Digital, Consumer behavior, and Strategy. Prior supervisory experience; Experience in developing and implementing integrated digital strategies with a proven ability to leverage research and analysis to drive strategic direction, best practices and process improvements and/or training. Experience with a variety of Digital Marketing tools. Web production and/or project management experience. Working knowledge of Google Analytics a plus. Knowledge of website development and CMS operations. Exceptional people and project management skills; ability to prioritize, multitask, focus, lead and delegate while adhering to strict project timeline and budgets. Strong understanding of growth and movement of digital landscape both online and mobile. Demonstrated data analysis /research skills. Strong appreciation and understanding of high-quality web design and usability, social media, mobile and new/emerging digital platforms. Strong organizational skills, attention to detail, flexibility and endurance are needed to multi-task across many projects with varying deadlines. Self-motivated and detail-oriented, with excellent time-management skills, strong interpersonal skills and the ability to function well in a collaborative, team oriented environment. Ability to think independently, self-taught, create and develop ideas that lead to positive change/improvements. Ability to accept changes readily, in job responsibilities and the work environment. Use of discretion and the maintenance of high levels of confidentiality are absolutely required. Self-motivated and strategic with a passion for social media. Candidate must be able to sit for long periods of time to perform duties, and to move around and make inquiries from other staff, management as needed. The role of the Director of Powertrain Customer Service will be initially focused on developing a structure of the worldwide commercial customer service strategy, implementing all aspects of the plan, and building onto this organization as the company scales, and the successful development of powertrain business that will drive sustained year-on-year sales and profit growth within the framework of a strategic long range plan. The customer service team and infrastructure they manage will service our powertrain partners and indirectly their customers worldwide. This person will have a direct impact on how our customer experience is perceived, sales partners are supported, and the effectiveness of this group is contributing to the profitability of the company. The tangible impact will be measured through customer service feedback, effective processes, efficiencies implemented worldwide, and the cost/benefit to the company annually. Turn Customer Service into an asset for the company that will contribute to growing the Zero powertrain brand. Develop a clear strategy to make it easy for clients, partners and their distributors to do business with Zero. Establish and deliver robust Customer Service programs and plans that drive sustained improvements year-over-year. Monitor and systematically collect defects and failures in the field and develop internal reporting systems to reflect accurate feedback in terms of frequency, costs and ‘degree of discomfort to customers’. Working across the Zero organization, devise prioritized and actionable solutions and track and report CS issues on an ongoing basis. Develop and manage a warranty system for parts and labor consistent with leading industry practices. Create effective communication channels for the free flow of information and data from manufacturer to dealer / distributor and vice versa. Identify on-going requirements and establish technical and non-technical partner / distributor training via online and direct training sessions. Develop the right set of technical training tools and capabilities that ensures smooth on boarding of our partners and distributors and provides a path (mix of self-based learning / advanced classroom based training) for them to become technically excellent. Work closely with the engineering team to develop and implement a diagnostic tools strategy that enables our partners and their distributors to troubleshoot and diagnose issues “right first time” as part of the 1st tier support service they provide to our customers. Develop and implement programs that measure Customer Satisfaction along the dimensions our customers, dealers and distributors care about. Implement initiatives on a continuous improvement basis based on what we learn. Develop and implement programs and services that assure consistency of service / support experience through our dealer / distributor network when we do not own or control technical resources at the local level. Build and manage the Powertrain Customer Service / Aftersales Team to be a cohesive, motivated and effective business unit across Scotts Valley and Alkmaar. Continually review training and development needs of the Powertrain Aftersales team. Develop clear communication channels between all internal key contacts and external customers. Ensure all commitments to internal / external customers are delivered in a timely and professional manner. Ensure Aftersales materials and technical literature (Owner’s Manuals, Service Manuals, Parts Manuals, Service Bulletins, etc.) are created and maintained according to company and legal guidelines and released in a timely manner. Monitor relevant forums and stay abreast of potential developments and issues in the field. Develop, manage and stay within an approved overheads budget. Preferably Mechanical or Electrical Engineering and / or Business Degree. A sound business understanding with prior direct experience in building an aftersales team for an OEM. Zero Motorcycles is currently looking for an NPI Coordinator. The successful candidate will have a role in product development within a cross-functional product/platform project team. In this role, the individual will be responsible for assisting our Development Purchasing Engineers with typical office clerical duties. This position is full time M-F and will work out of our corporate offices in Scotts Valley, California and report to the Director of Developmental Purchasing. Create and Maintain records – Key resource for assisting our Development Purchasing Engineers in sending and receiving time sensitive information and documents, creating an organized way to compare documents and pricing, present the results to the team to make a sourcing decision. Issue Purchase orders and Track to delivery – The successful candidate will write and issue purchase orders under the direction of our Development Purchasing Engineers. Track all open orders to delivery and update our internal systems with all relevant data. Logistics Support – Assist Development Purchasing Engineers with shipping/receiving items. In addition managing the disposition of items received/sent. Organization and installation of new tracking systems – Must be able to maintain highly organized records of all transactions. Install new tracking systems as new metrics arise, must be able to rapidly shift into new processes. The position requires High School diploma or GED. Fluent in English and Mandarin a strong plus. Must be at least an intermediate user with Microsoft Excel. Must be able to take direction from several people and prioritize duties. Must be self-motivated to complete all task once given direction. Must be confident with managing or running meetings. Must be able to take informative and detail oriented real time notes for meetings. Must be detail oriented, while being able to maintain a general project overview. Previous history with motorcycles and/or mechanics a plus. Licensed motorcycle rider is a plus. 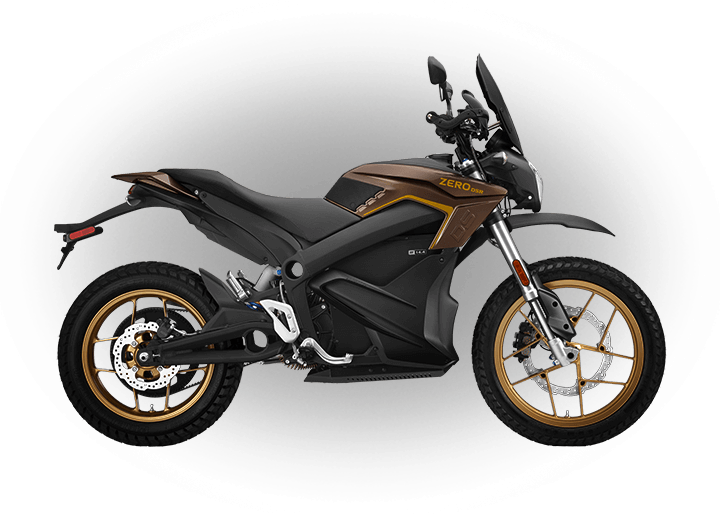 We are the leading electric motorcycle and powertrain brand. The Powertrain Program Manager is responsible for the technical coordination and support of engineering development projects related to Powertrain Sales for our OE customers. The successful candidate owns following up on component, system and vehicle development day-to-day activities with engineering and other functional teams, having the top level project goals in sight at all times. This position will also be responsible for working closely with our customers to define requirements, set deliverables, and provide status throughout the project(s). The Powertrain Program Manager must be able to prioritize activities and track the details as well as be in touch with the big picture objectives. This position must be a fearless organizer who is ready to work with the highly skilled engineering hardware and software design teams, as well as every other functional area involved in Product Development, in order to identify and resolve potential risks to the schedule and/or to the quality of the product. The Program Manager needs to have a strong understanding and mastery of Zero’s Product Development processes and systems used to track all corresponding activity, from part design and procurement, to system and vehicle level verification, to production validation and ramp-up. Zero Motorcycles is looking for someone who is flexible and can respond quickly, energetically, and enthusiastically to changes. Cross-functional communication skills and experience are essential. The Program Manager will interact with all product engineering disciplines, as well as Purchasing, Quality, Production Engineering, Marketing & Sales, Customer Service, Operations, Industrial Design, and other resources inside and outside Zero. The Program Manager will be expected to communicate frequently with our OE partners to define requirements, develop specifications, present solutions, and manage expectations on project deliverables. Detailed knowledge of product development processes as well as a strong understanding of manufacturing processes. Must be able to bend or stoop down to access files, including lifting of items or objects up to 30 lbs. 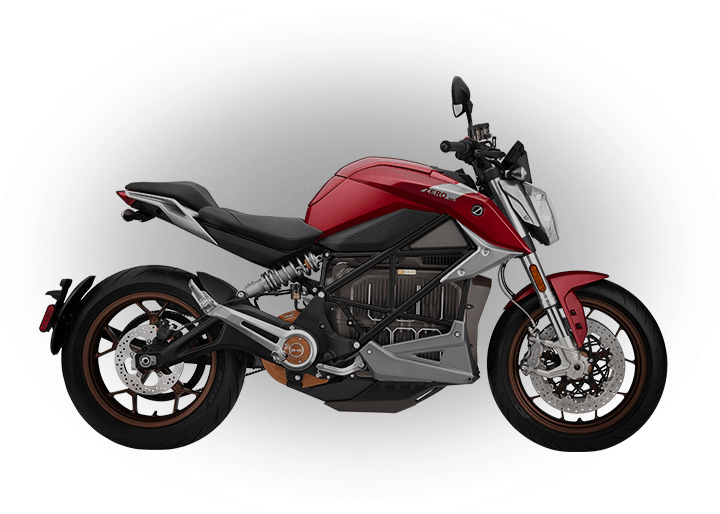 The Powertrain Service Engineer will support powertrain partners by responding to inquiries and technical requests about all aspects of Zero Motorcycles’ powertrain products. You will support these partners by providing second-tier troubleshooting guidance for field issues experienced by these partners’ vehicles and their other powertrain applications. You will work directly with our partners to ensure each issue is resolved in a timely and high quality manner. When necessary, you will escalate issues to powertrain development engineers and work directly with them to expedite their resolution. On a weekly basis, you will review powertrain field issues to identify trends and pursue improvements in tools, training or documentation to eliminate or accelerate the resolution of future problems. This analysis will also be used to deliver a weekly “top ten” issues list to be reviewed with the product development team. As our powertrain business grows, you will assist in the creation of documentation such as datasheets, parts manuals and service manuals as well as new diagnostic tools. 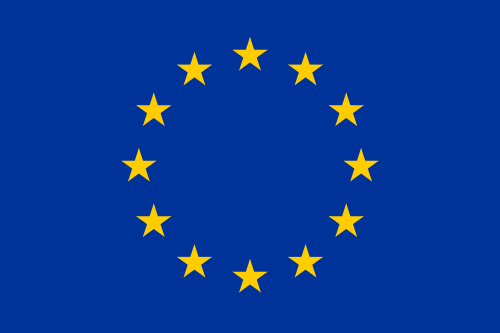 You will also help define warranty processes and warranty tracking systems. This position is full time M-F and will be working in our Scotts Valley, California corporate headquarters and will report to the Director of Customer Experience. Must be able to bend or stoop down to access files, including lifting of items or objects up to 50 lbs. 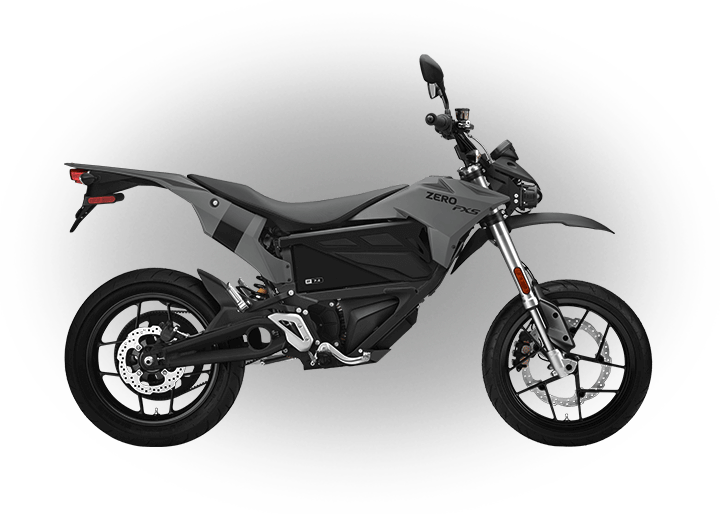 Zero Motorcycles is currently searching for team members to perform Sub-assembly of motorcycle components and motorcycles on an assembly line in accordance with manufacturing procedures. This position reports to the Operations Production Manager, is full time M-F, and will be placed through our contracted staffing agency. Performs tasks to build complete motorcycles and/or sub-assemblies. Assembles forks, motor, wheels, chain/belt drives, handlebars, lights, seats, and other parts to frame using hand and power tools. Follows established quality procedures for the company and department. Records motorcycle build information on log sheets and on other documents. Follows company procedures for handling parts, tools, and finished goods. Follows and complies with safety (safety rules, training, behavioral based safety observations) and environmental requirements. Assists with special projects or other departments when needed. Assists warehouse and shipping staff when needed. Should have 2-3 years experience assembling or repairing motorcycles. Experience using mechanical and electronic test equipment is desirable. Experience with Kaizen, Cycle Times, Takt Time and overall improvement of efficiency and quality through these processes. Knowledge of production assembly and small hand tools. Must be able to communicate clearly and work effectively with other team members. Must be able to stand at assembly station for extended periods of time. Must be able to bend or stoop down to access inventory, including lifting of items or objects up to 50 lbs., and stand for 2 to 3 hours at a time. M1 motorcycle license desirable but not required. Willing and able to work overtime with a flexible schedule including weekends. 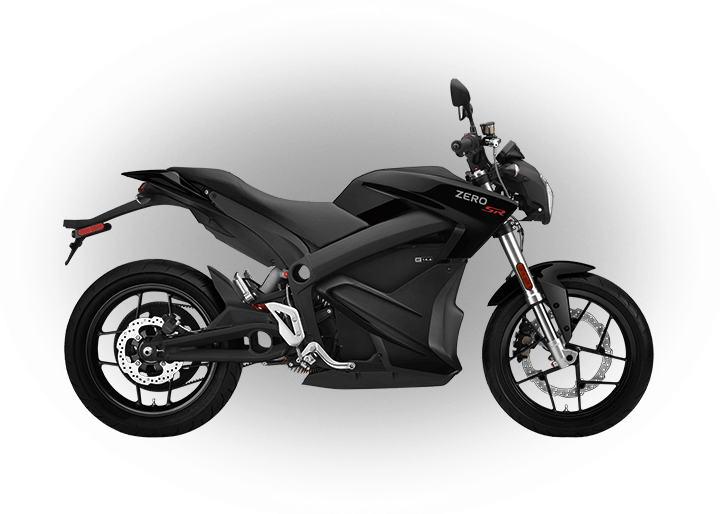 Zero Motorcycles is looking for an individual that has a very deep understanding of embedded electrical systems and test equipment design. This individual will work within a team of electrical and mechanical engineers to design manufacturing and testing equipment for the production of electric motorcycles. This individual will play a key role in developing and maintaining our Manufacturing Execution System (MES). This position is full time M-F and will be working in our Scotts Valley, California corporate headquarters and will report to the Director of Production Engineering. Must have experience with bug tracking systems, test tracking, code compliance, repository/version control systems and build systems. It is a plus if you have experience directly with JIRA, TestRail, GIT and Kiel. Must be able to bend or stoop down to access equipment, including lifting of items or objects up to 50 lbs. 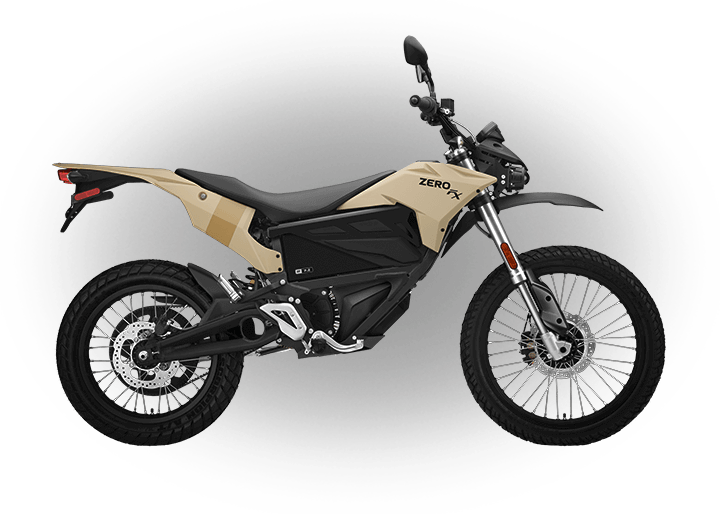 Zero Motorcycles is looking for an experienced Supplier Quality Engineer/APQP Lead with a strong Electrical/Mechanical Component/Assembly quality background and proven project management skills. This position will work closely with cross-functional teams within Zero and directly with our suppliers to improve the overall new product launch experience. This position is full time M-F and will work out of our corporate offices in Scotts Valley, California. APQP Lead (60%): Responsible for monitoring the APQP program for new programs globally. He/she will work closely with the BPO Asia team to develop a Supplier APQP Training Process and ensure suppliers are trained in APQP aspects as they relate to ZMC expectations. He/she will ensure supplier performance issues are addressed effectively with supplier development activities. Supplier Quality Engineer (40%): Responsible for managing suppliers producing mechanical and electrical assemblies/sub-assemblies in North America with a focus on Product Quality. This position will collaborate and coordinate with Operations, Supply Chain, Engineering and other disciplines to provide technical oversight to resolve issues arising at supply base. Successful candidate will be a self-starter with proven project organization and execution skills, clear verbal/written communication skills, the ability to create and deliver presentations, and experience in a schedule-critical environment. Must be able to bend or lift objects up to 50 lbs. For more information on becoming a Zero Motorcycles Dealer please click here. Please do not call us regarding employment. Email your resume and qualifications to hr@zeromotorcycles.com.